Feel like royalty alongside your favorite Disney princesses in our Disney Princess Combo! Bounce around with Cinderella, Snow White, Belle and Aurora! 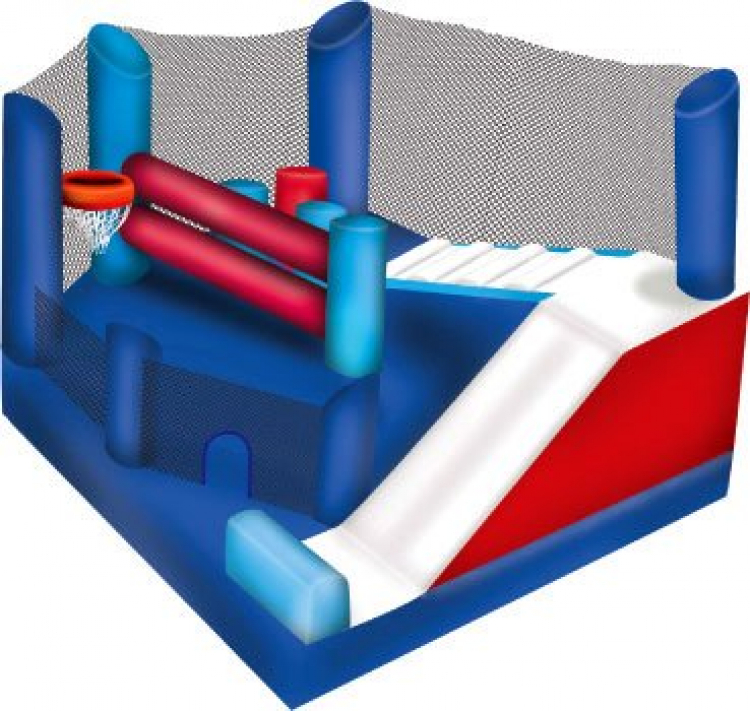 Perfect for a birthday party, fundraiser, church event, school event, fair, or corporate event. 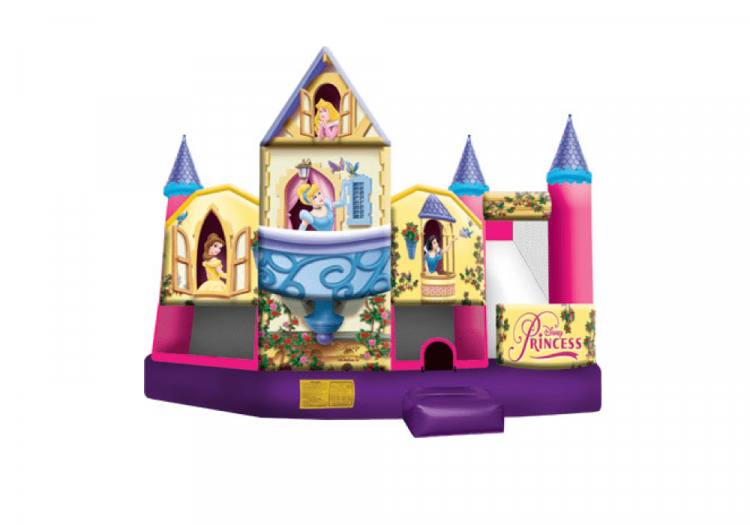 The Disney Princess Jump bounce house is available today. 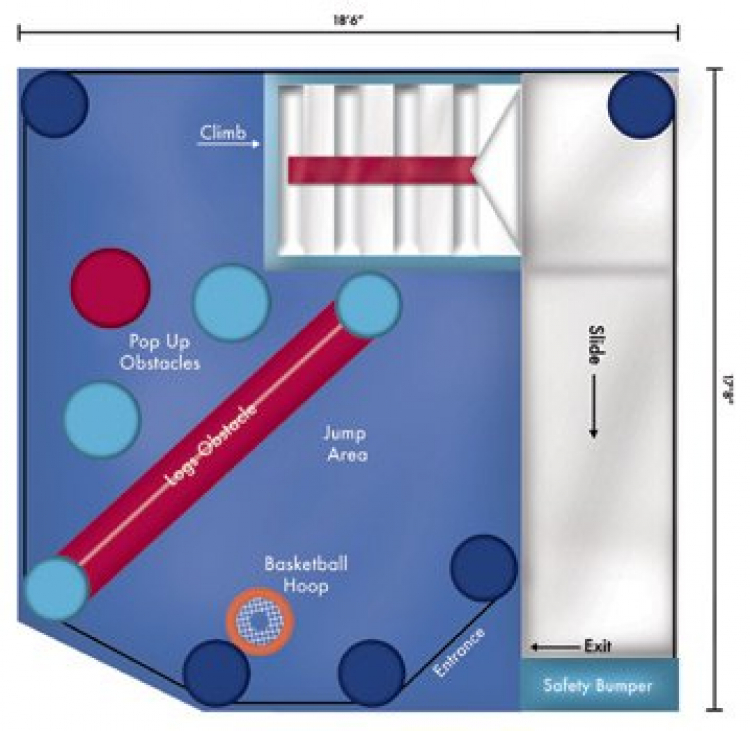 This licensed combo has a bouncing area, basketball hoop, obstacle area (inflated logs and pop-ups), climber and an 8 foot slide at a 45 degree angle. The slide ends next to the entrance for easy re-entry and exit.